Halloween is upon us and that means witches rule the week (outside of a few backdated reviews I hope to get up). Haxan: Witchcraft Through the Ages is the oldest documentary I’ve watched and one of the most bizarre. For 1922 it was a methodical, scientific approach of reexamining witchcraft, and there are points that still ring true for modern audiences. 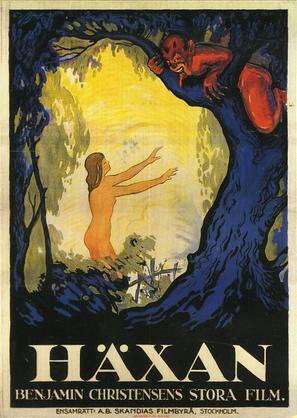 High on creeps, there are a few laughable moments and often hard to maintain interest in such a clinical silent film, Haxan provides some intriguing sequences and racy material to get your blood pumping on All Hallows Eve. Haxan is an historical presentation of the history of witches in seven parts, exploring the various superstitions and stories about witchcraft and religious attempts to control it. 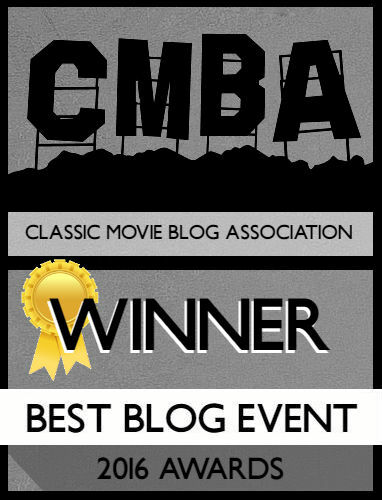 I mentioned during my inclusion of this in the TCM Top Twelve that watching fifteen minutes of Benjamin Christensen’s documentary terrified me. I can’t say the fear is as intense as it was during my initial viewing, but Haxan is disturbing the way a lot of silent films were (Greed being the example immediately springing to mind). Christensen and crew do a lot to create a world of excess mingling with depravity, so actors look old, dirty, and downright unattractive. Coupled with that are close-ups a horned devil, played by Christensen himself, and a bizarre technique that makes the witches and demons eyes look unnatural. It is this unnatural quality that lends to a dark, macabre world that’s as demonic as its meant to purify. For all the bizarre terror within, Christensen approaches the film with the eye of a scientist. Cut into seven parts, part one involves the director introducing the concept of witches – what defines them, their history – by showing woodcuts, etchings, and other illustrated pieces of “proof” from days of yore. It’s hard not to feel like you’re being given a silent lecture, so it’s nice when the later parts move towards reenactments and exploring the “past” fears of witchcraft and torture. Christensen demonizes – sorry! – the witches, but admits that much of the hysteria surrounding them was based on religious zealotry and superstition. We see the straightforward, Salem-esque presentation of a woman being accused of witchcraft. As she’s tortured, she tells her tale of giving birth to the Devil. As the audience is given a reenactment of a witches Sabbath where the unintentional comedy comes to the forefront for modern audiences. We’re treated with the a saxophone playing Satan (it looked like a sax but it could have been a flute or something), and talk of Satan’s grandma stopping by. Oh, no, Satan’s grandma is breaking up the shindig. The gravity of the situation is there, but modern audiences who already find witches skeptical will just snigger at themselves. Even Christensen doesn’t take it seriously, inserting a “modern” interpretation of events, blaming mental illness and women’s “hysteria.” It would be easy to criticize his theories, but seeing how he’s coming from an analytic angle, you have to chalk it up to misguided science of the time. Haxan is a vivid examination of the fears and misguided superstitions of an earlier time. 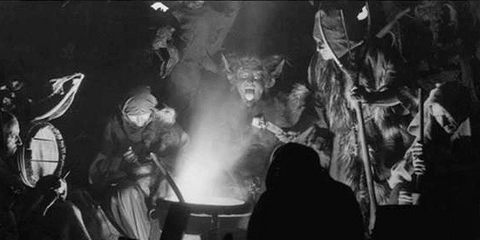 The horror comes more from the macabre silent movie acting as opposed to the actual witches themselves. A weird, yet influential, film. It’s worth seeking out. If you watch it let me know what you think.